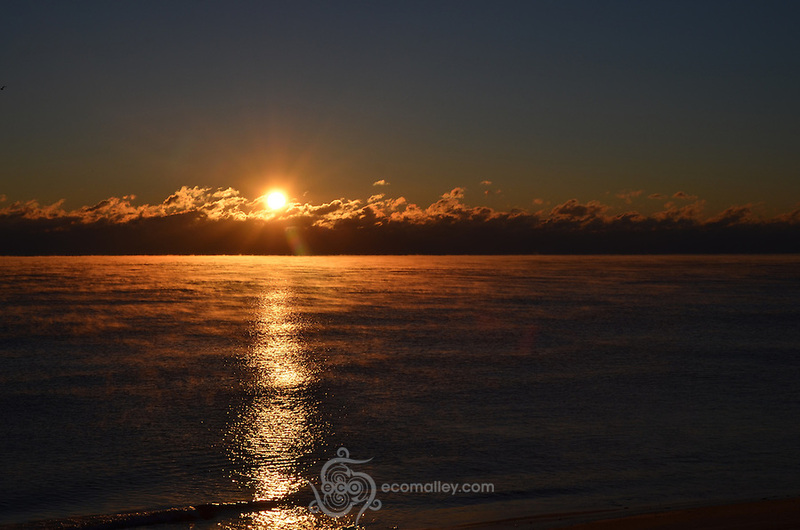 There was sea smoke at sunrise today (about 5 degrees, with a moderate breeze), and the bay was mostly frozen over. 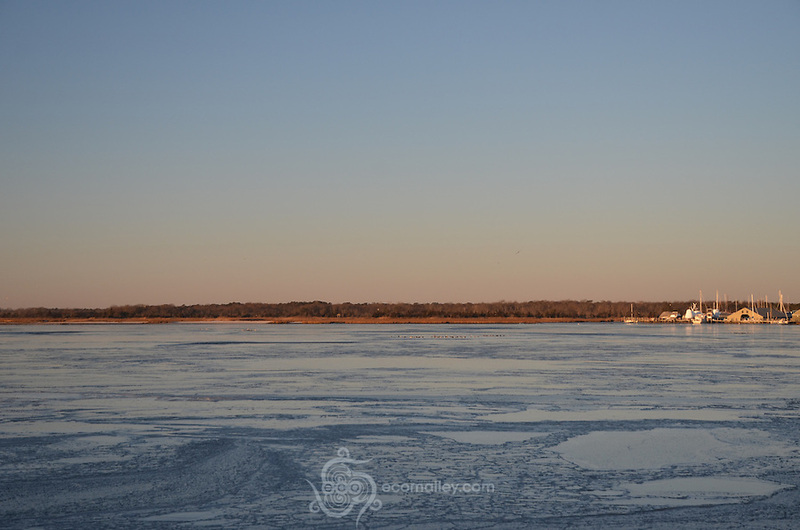 Temperatures warmed a bit during the day, so much of the bay is now free of ice. 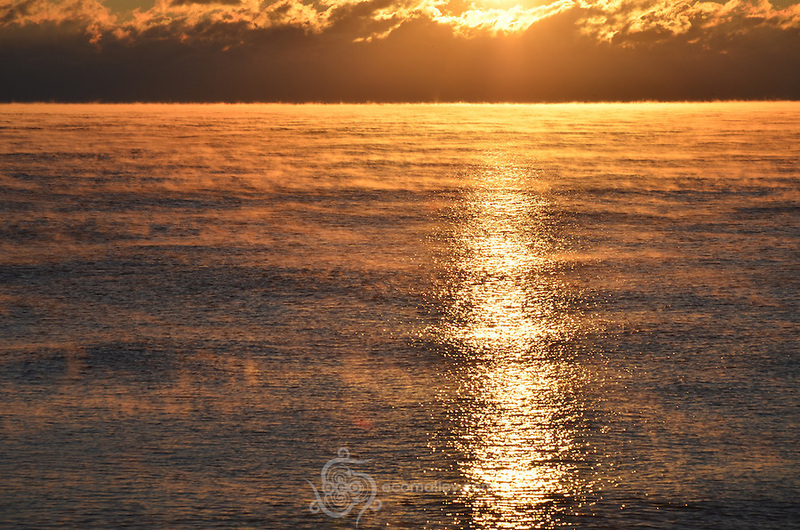 In the sea smoke pictures, if you look closely, you can see a pink line at the horizon – this is the distant sea smoke when it is illuminated by the sun. A few of today’s images can be found below, and the rest can be found here. Enjoy!